The quickest way to jump into Windows GUI application development. Having worked with heavy J2EE applications for couple of years I have almost forgot how much fun one get from programming. I got used to massive tools, complicated frameworks and other Very Serious Stuff. And then I decided to give Microsoft Visual C# 2010 a try. It was a love from a first sight! The tool reminded me all the fun I have playing with Delphi in late nineties. – Use regular expressions (regexps). 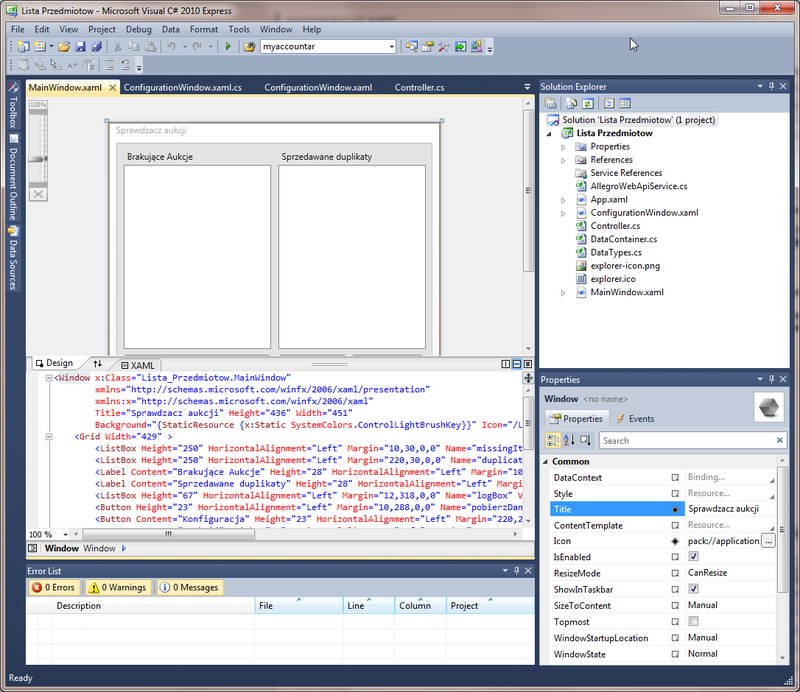 My first impression is that programming in C# and WPF is pure fun!. It utilizes whole power of .net framework but it incredibly smart in hiding all unnecessary details from developer, who just wants to get things done. 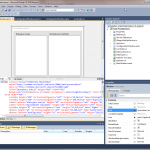 WPF uses XML to define UI of the application. The files can be modified using GUI editor in VC# or by manual modification directly in XML, which just couldn’t be easier, see definition of main window of my application. Learning curve for C# with WPF is flat – you can basically guess most of methods you need. And when you’re stuck, Goggle knows the answer! Note: I’m not advising nor advocating happy cowboy approach to software development. But still it’s fun! My completed application has been uploaded to github as “Sprawdzacz allegro” project. Maybe someone will find bits of it useful.